Calling ALL Urban Activists in the Schuylkill Valley! 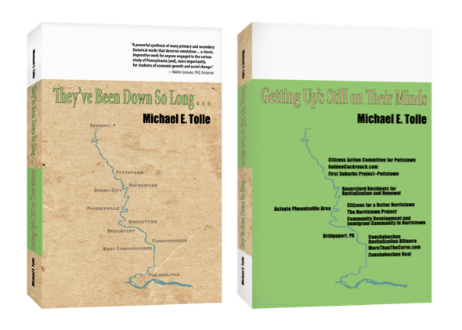 Michael Tolle has written a book especially for you. Interested in making things better? Get together with others who share your interest, and learn from a historian how understanding your history can help your common future. Do you know where your car is right now? Join us for a spirited panel discussion on the state of parking in San Francisco. Learn about the historic struggle between the urban grid and the automobile and how committed San Francisco is to becoming a "Transit First" city. To register, call (415) 393-0103 or visit www.milibrary.org/events/sfparking0214.